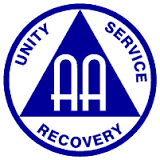 Alcoholics Anonymous is believed to have been established in the Bahamas sometime in the 1960's. The Bahamas is made up of 700 island and cays with the majority of the country's population located on 20 islands. AA groups exist on several islands around the Bahamas with the largest concentration of meetings being on the capital island of New Providence (also known as Nassau). All meetings are held in English (sometimes with strong Bahamian accents). AA in the Bahamas is part of AA Area 15-District 16. Do you think you have a problem with alcohol? Do you help? Then you've come to the right place, email aameetingsbahamas@gmail.com for more information. If you are travelling to the Bahamas you may want to consider downloading Whatsapp on your smartphone. Whatsapp will allow you to text/call local AA members for free via Wifi connections. There is only one cell phone (mobile) provider in the Bahamas, BTC, and most locals use Whatsapp to communicate for free. "This site is neither endorsed nor approved by Alcoholics Anonymous World Services, Inc. No copyrighted material shall be purposely posted here without the express permission of those individuals or institutions owning such copyrights. "Alcoholics Anonymous" and "A.A." are registered trademarks of Alcoholics Anonymous World Services Inc.; "The Grapevine", "Box 1980", and"GV" are registered trademarks of the AA Grapevine Inc."